Create a consistent theme for your church service or event with this colorful set of 6 free background images and 2 free title slides from the Radiant Angles Service Pack by Centerline New Media. 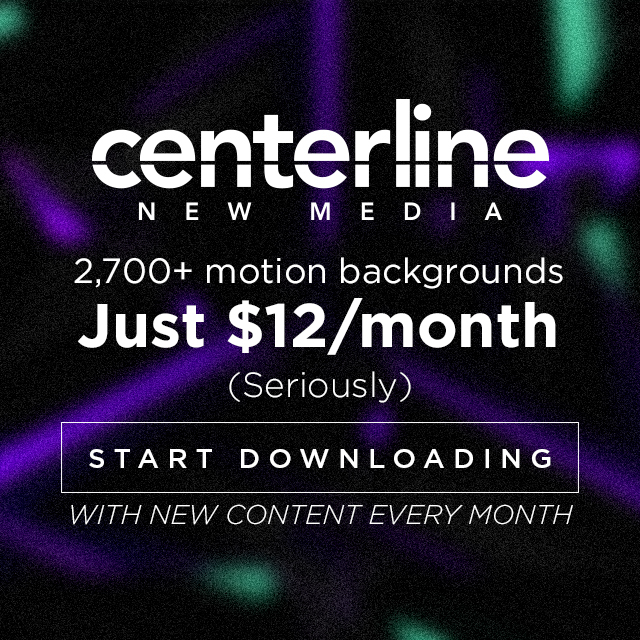 Hi, I’m Stephen Anderson, and I’m Aaron Holt, and in 2008 we started Centerline New Media. Our goal was simple: make a living doing something we love for the glory of God. So, having backgrounds in design and video, we plunged headfirst into the waters of church media production. We absolutely love being able to create quality motion backgrounds, mini­-movies, and countdowns that can be used by ministries to spread the good news of Jesus Christ. We launched yearly subscriptions to the site in 2011, and recently began offering monthly subscriptions with the goal of making the media more affordable and accessible than ever. Our hope is that CenterlineNewMedia.com will not only be a valuable resource for your media needs, but also a place to share ideas and learn from each other. Thanks for checking us out!